We all know a girl who loves anything sparkly! I may or may not fall into that category 😉 The more sparkle, the better! Well, for her, Swarovski is the place to go. This brand offers the most beautiful crystal jewelry, watches, and home accents. There are so many stunning pieces to choose from that it’s actually difficult to choose just one gift. Personally, I fell in love with the necklace and earrings seen below. They are beyond perfect for the holiday season and will definitely turn some heads. 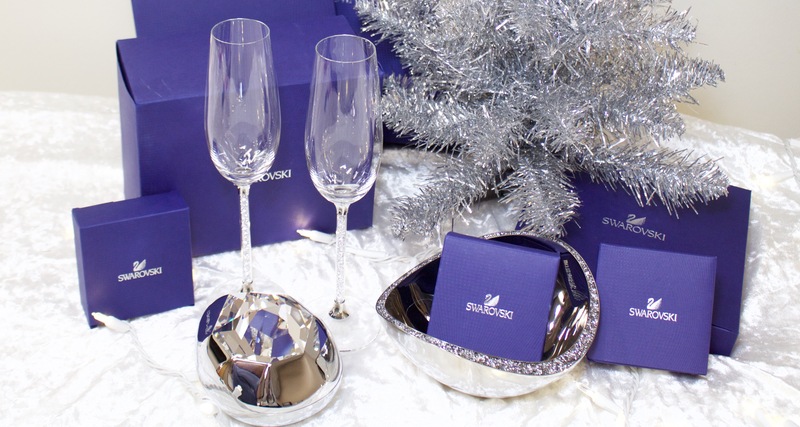 Additionally, the elegant Crystalline Toasting Flutes featured above would make for the most lovely gift. They are so festive and would also be a beautiful gift for any newlyweds that you know. If someone on your list to buy for is really into makeup, Morphe is the store you must stop in! I’ve been using products from this brand for years and I’ve never been disappointed. Their eyeshadows are highly pigmented and very blendable, not to mention that everything the store sells is affordable. 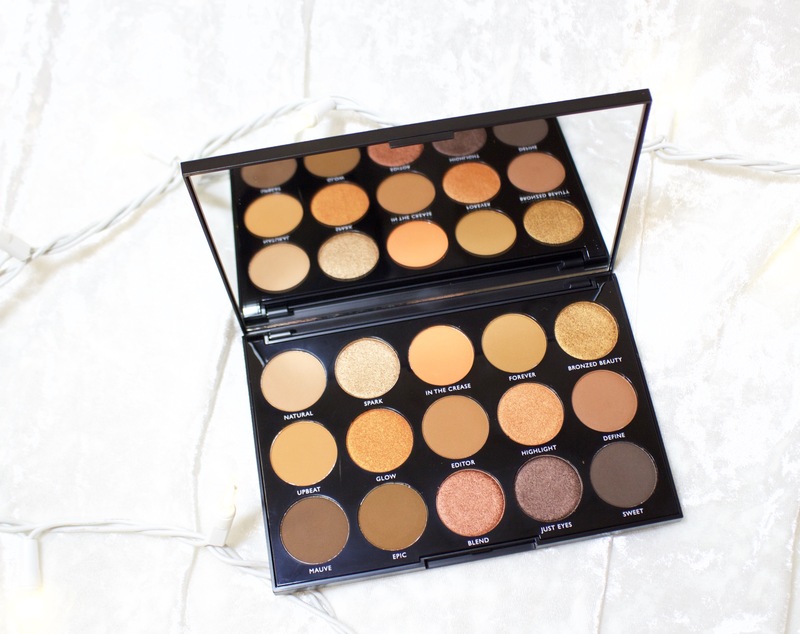 Eyeshadow palettes with 35 shadows for under $35, yes please!! I have been using the 39A Dare to Create eyeshadow palette (above) and the 15D Day Slayer palette (below) and I was so impressed with both! 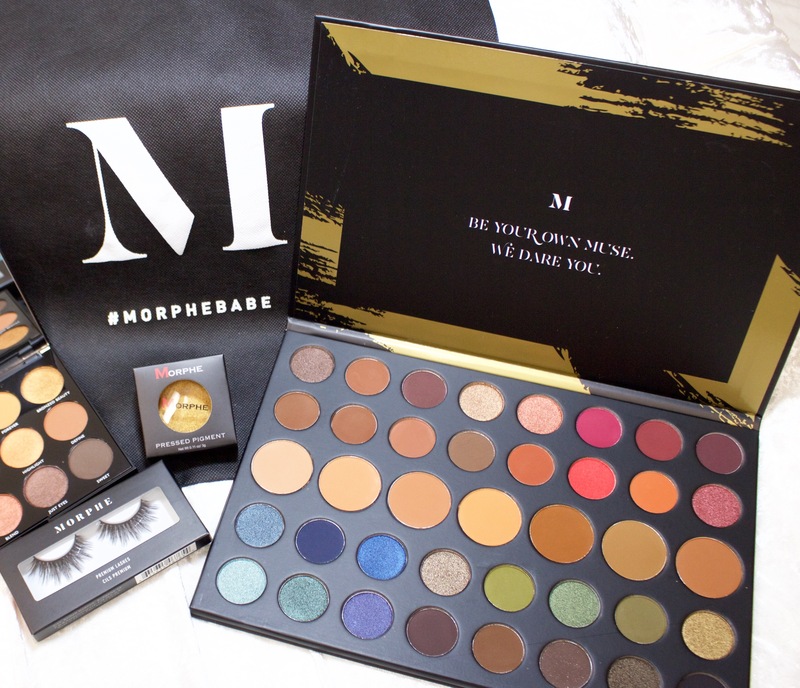 Morphe is also known for its amazing line of brushes, liquid lipsticks, and the infamous 350 palette! 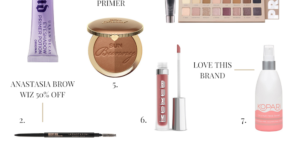 Honestly, this is one of my favorite beauty brands out there. So you’re going to a holiday party and you have no idea what to get the hostess. You’ve given her various things in the past…candles, wine, tea towels…and you can’t think of anything unique. In my opinion, Peppermint Bark from Williams Sonoma is the way to go and Brea Mall just happens to have a Williams Sonoma. 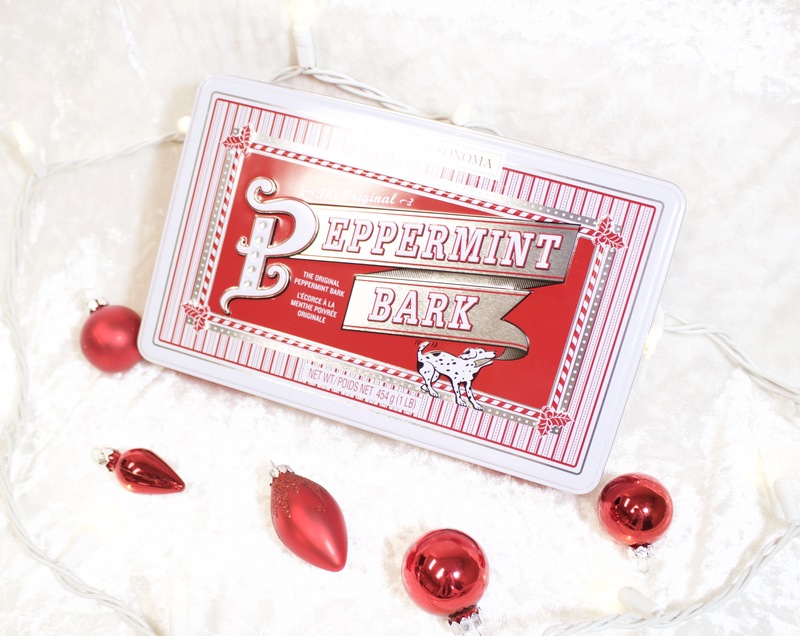 The store’s line of peppermint bark is the absolute BEST on the market – I buy a tin every year – and all I have to say is buy it now before it sells out. We all know someone who always puts others before herself. The lady who is selfless! 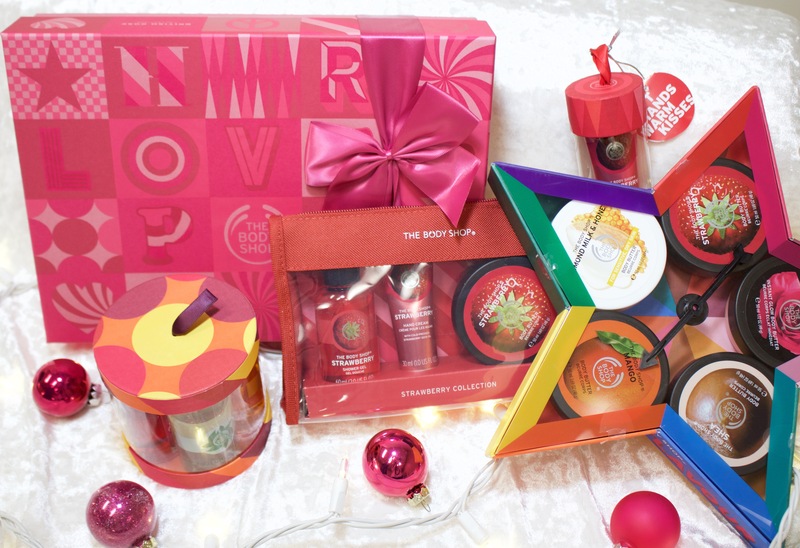 Well, this season, it’s time to treat her and The Body Shop at Brea Mall is the perfect place to find her a gift(s). While there are so many options to choose from, I loved The Body Shop’s gift sets because they are a great way to try small sizes of various different products and discover new favorites. My favorite? The body butter gift set below! You really can’t go wrong with jewelry for the holidays and these beautiful pearl earrings from Ben Bridge at Brea Mall are no exception. 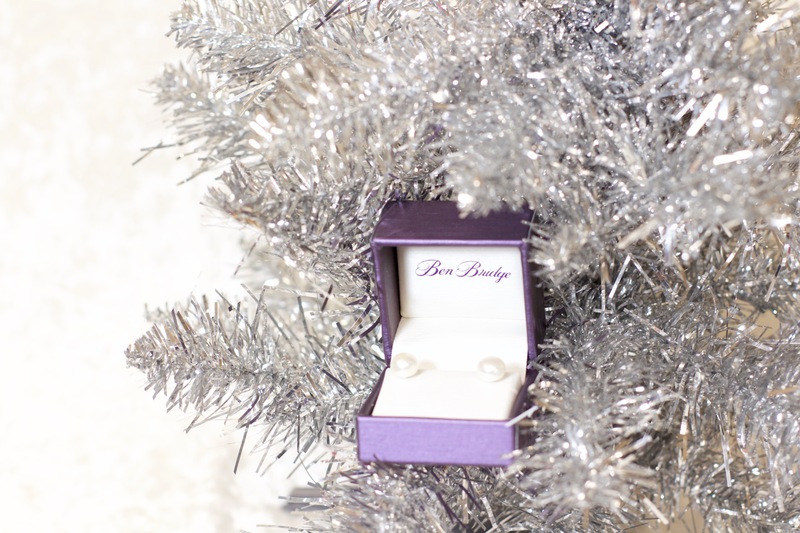 Offering fine jewelry including gemstone pieces, watches for men and women, and engagement and wedding sets, Ben Bridge has the perfect gift. 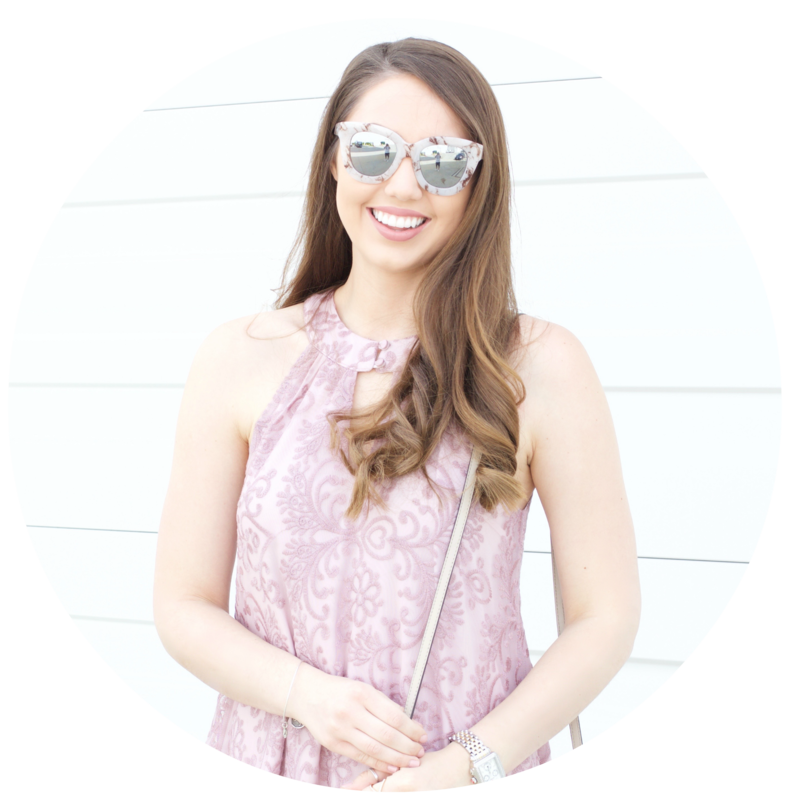 I also love that it has pieces available at many different price ranges, meaning that no matter what budget you have, you will be able to find something special. Calling all movie fans, BoxLunch is your place to shop! 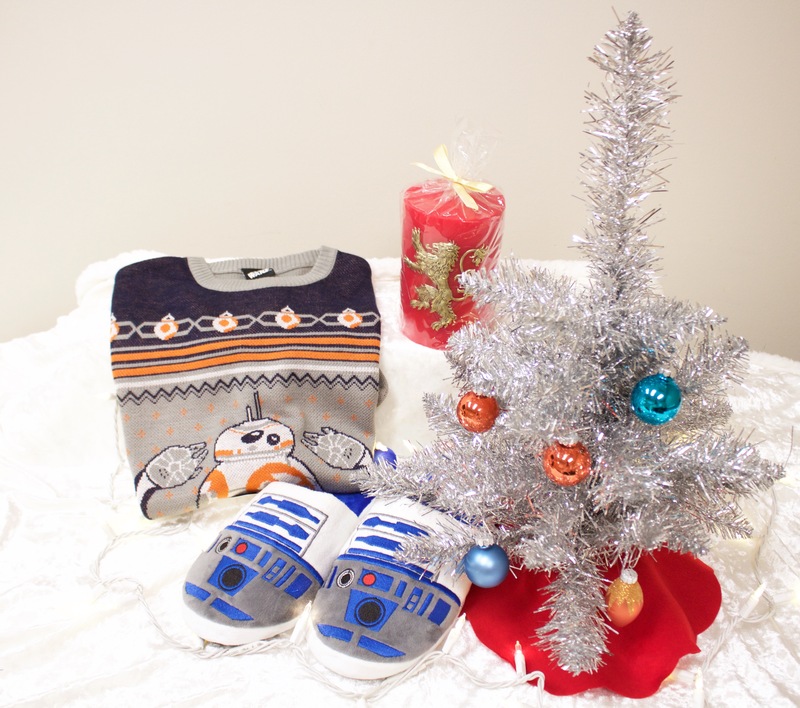 This retailer offers a curated collection of licensed and non-licensed merchandise including Star Wars, The Nightmare Before Christmas, and the newly-released Coco. What I especially love about this store is that for every $10 customers spend on its pop culture-themed products, BoxLunch helps provide a meal secured by Feeding America on behalf of local member food banks. 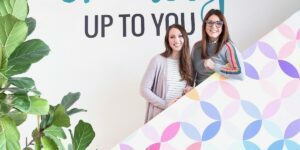 Such a cool way to get your shopping done while giving back! 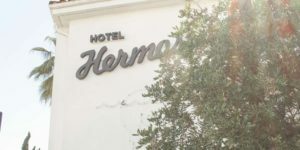 With a wide variety of apparel, accessories, home goods, gift and novelty, and collectibles, there is something everyone will love at this store making it super easy to cross multiple people off your list. 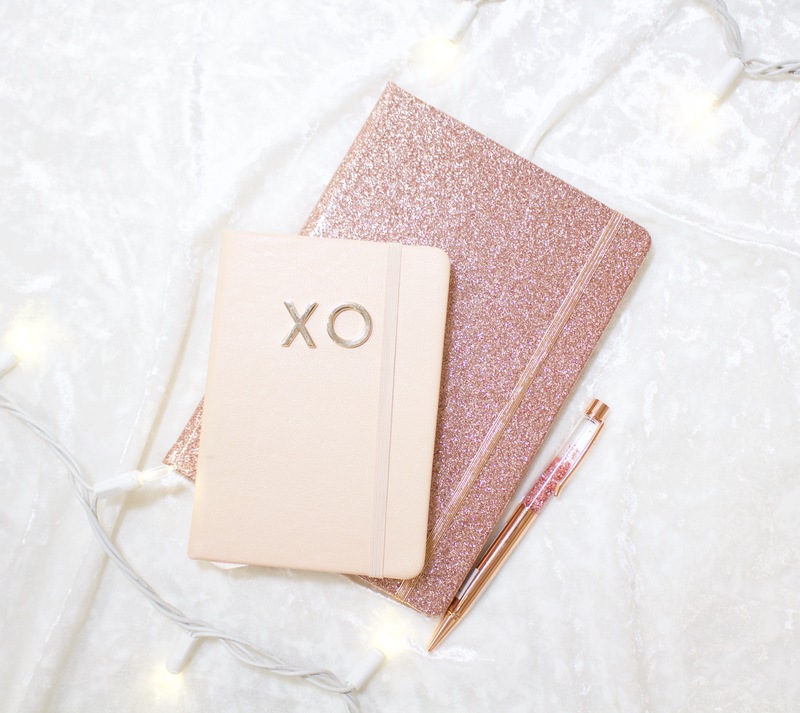 As a girly girl myself, I love anything pink and I also love pretty journals and notebooks. With that being said, when I saw these journals from Typo I knew that I couldn’t pass up including them in this gift guide. While so many people write things using technology now, every once in a while, I think it’s nice to revert back to pen and paper. 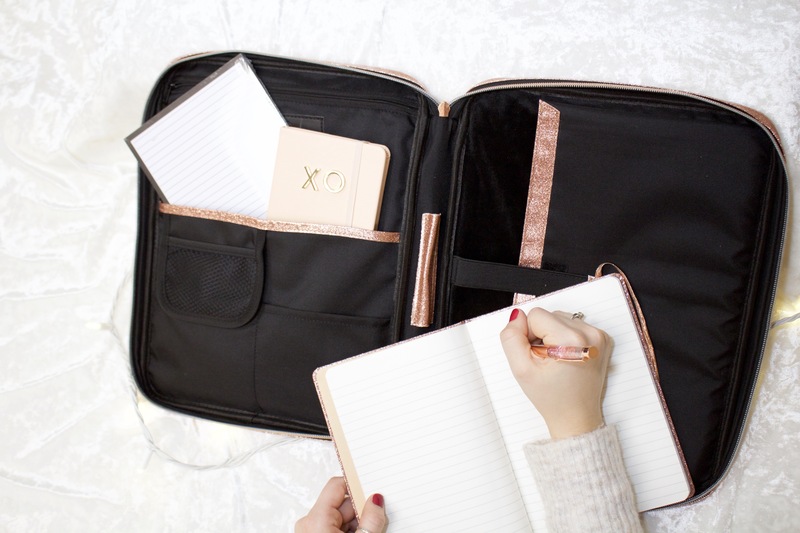 For that reason, I think these items would be a great gift and they pair well with the rose gold laptop desk, seen below! 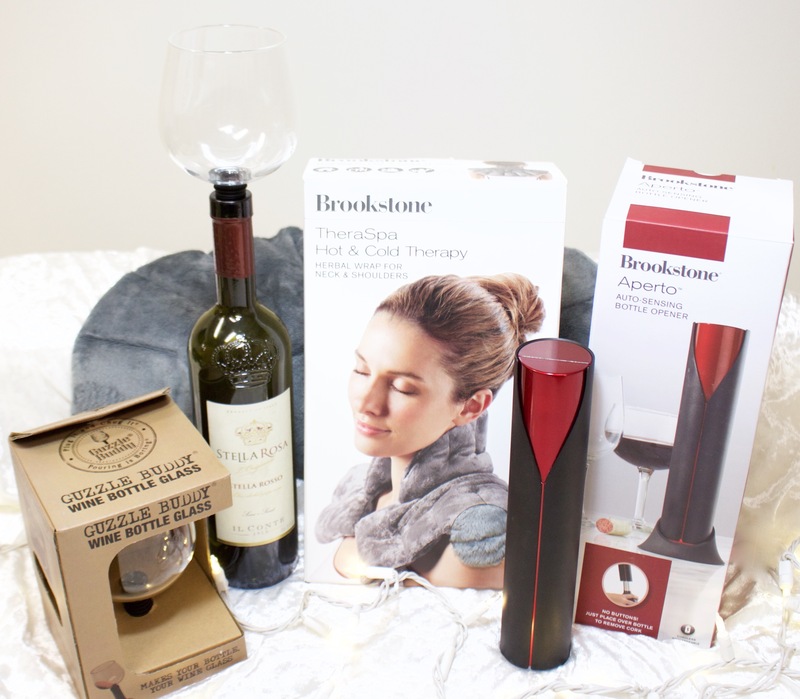 If you want to get someone something more unique that is still useful, Brookstone is the place to go! 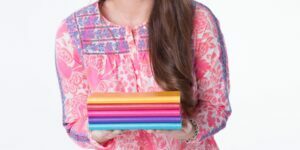 With gifts ranging in price and categories, including audio & tech, travel, home, fitness, and more, there are many options to choose from. 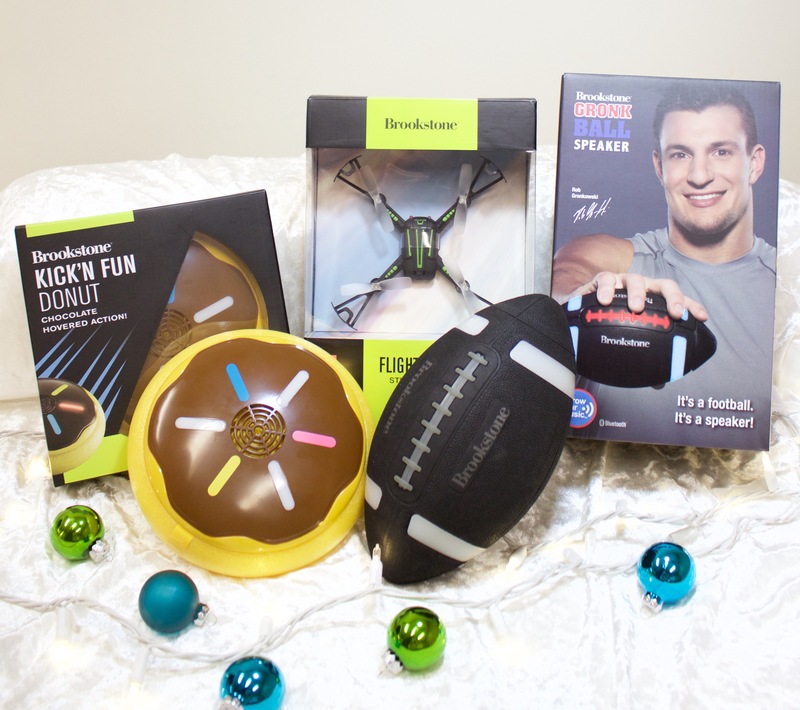 For the guy in your life, I thought the football speaker above was pretty cool. As for your bff that loves wine, how funny would it be to get her the “Guzzle Buddy” below?! The Aperto auto-sensing bottle opener is a cool gadget as well! If you know someone who needs a tropical getaway, but doesn’t have the time right now, Tommy Bahama is a great place to go when looking for a gift for them. The store only opened a few months back, but it’s such a great addition to the mall. 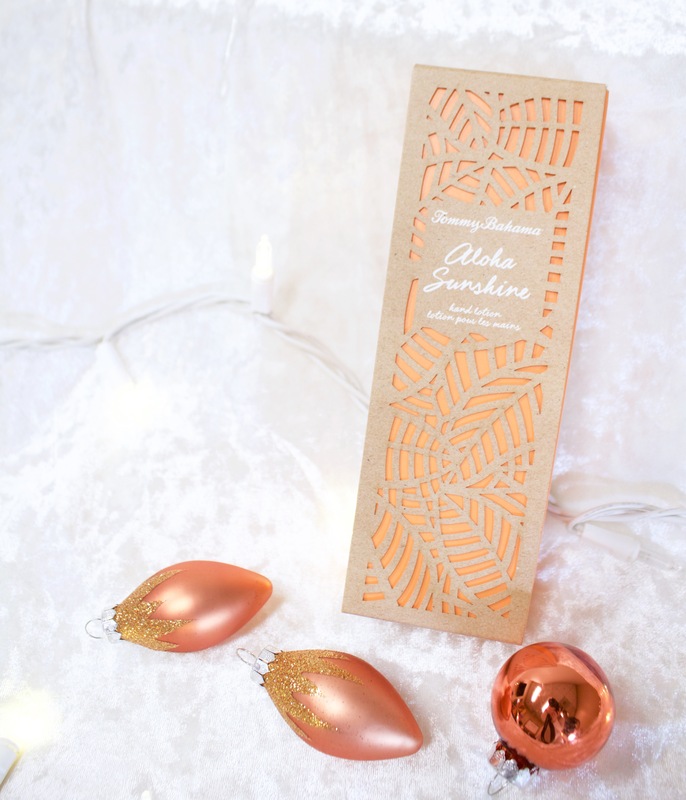 While the store has many gifting options, I think a really great one is its Aloha Sunshine hand lotion. It smells SO good! 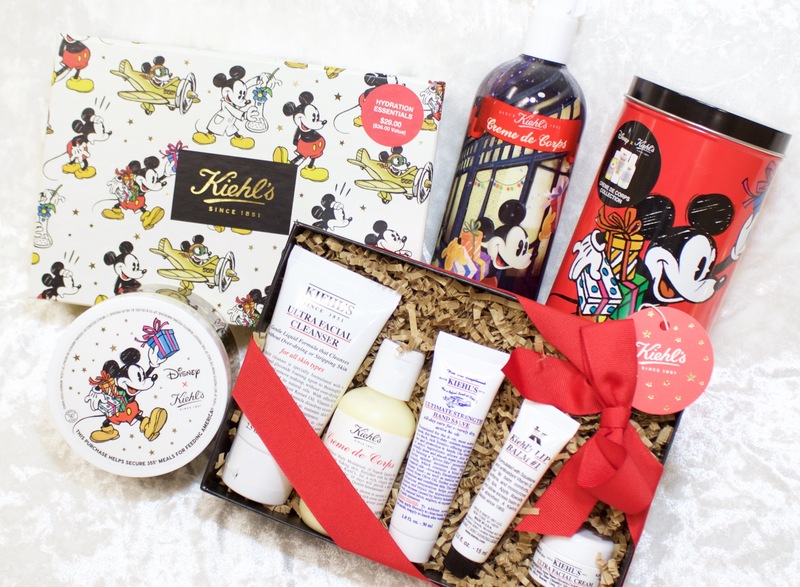 For the person on your list who loves Disney, you absolutely have to stop at Kiehl’s this season! The company has released the Disney x Kiehl’s special edition collection and it’s so dang cute. Whether you’re looking for some final stocking stuffers or an actual present, the pieces in this collection are perfect. Some of my favorites included the Grapefruit Body Duo (seen below) and the Hydration Essentials set (the box with a bow around it above). Also, while not pictured, the collection does include products for men! 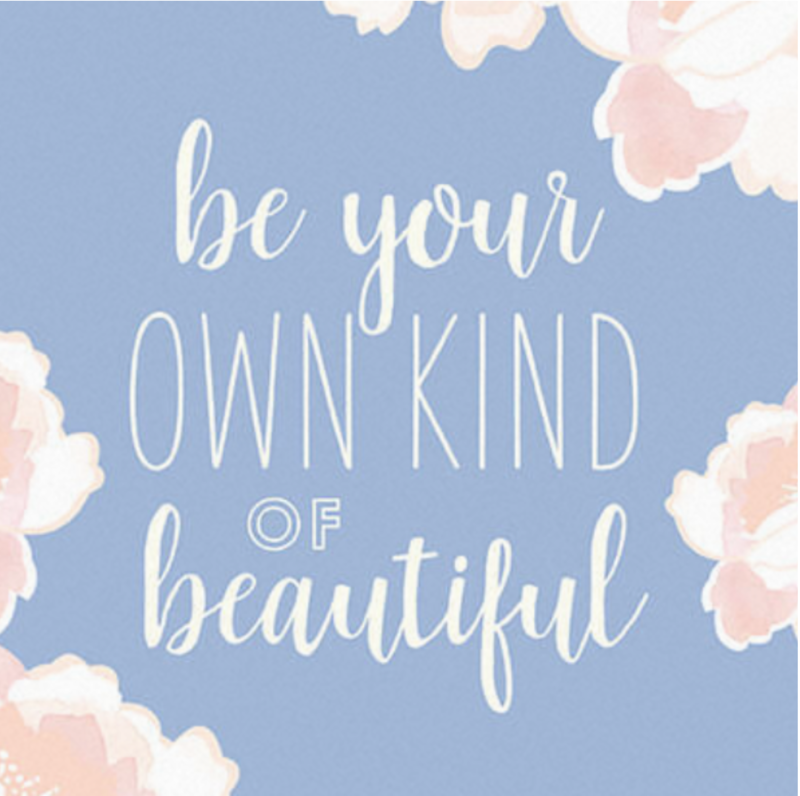 Now that you have some inspiration, it’s time to hit the mall to shop! I’ve provided the Brea Mall’s address for you below! 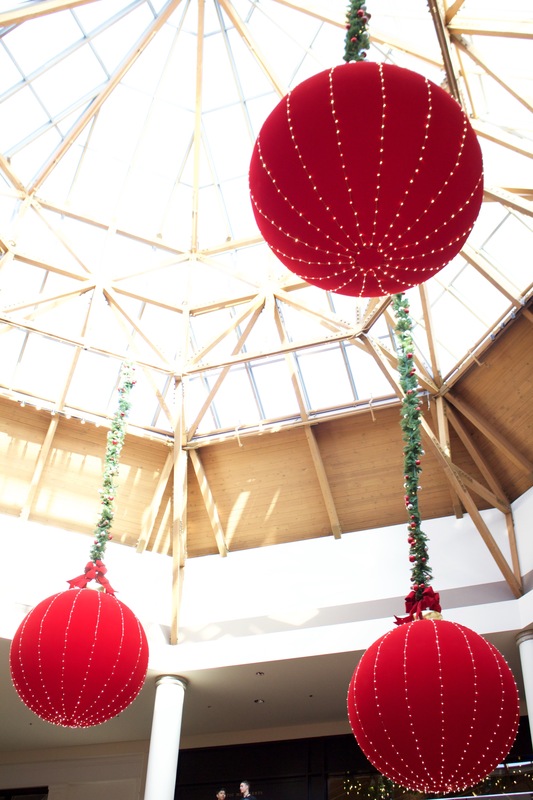 Also, from now until 12/17, Brea Mall will be having an Angel Giving Tree (located next to the elevator in Center Court). Guests can chose an Angel Tag and volunteers from the various organizations participating will collect the gifts you give. This year, the organizations benefitting include WTLC (Women’s Transitional Living Center), Brea Senior Center, The Sheepfold (Shelter for Women & Children), and Operation Santa Claus.